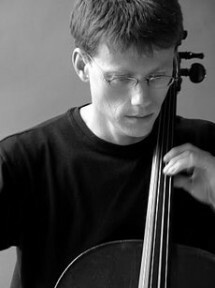 We are delighted to welcome back Orlando Jopling to Thornham for a recital of works by Bach and Britten. Tickets £10, under 18s and students free, seating unreserved. 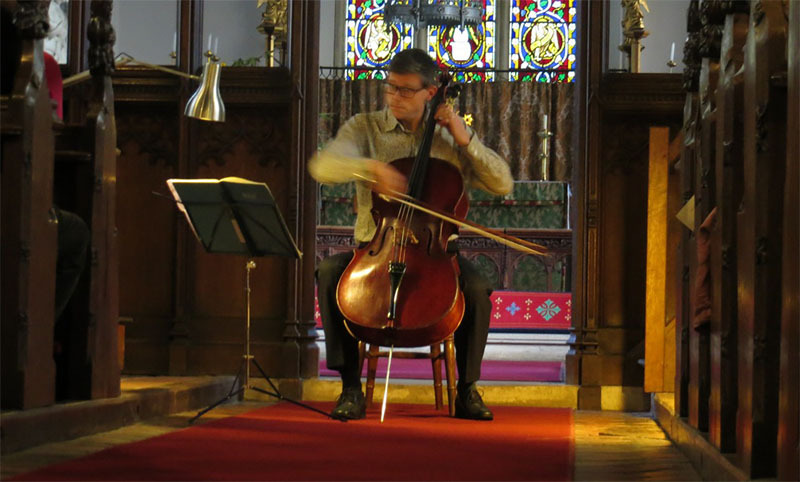 Orlando Jopling continues his Cello Pilgrimage in Britten's centenary year with a programme framing the composer's first cello suite, written for Mstislav Rostropovich in 1964, with two of Bach's solo suites. Orlando performed five of the Bach suites on his first visit to us so this concert completes the cycle with a performance of the 4th suite in Eb. Orlando has now made a recording of all six suites and CDs will be available for purchase. It is a special pleasure to welcome Orlando back to Thornham as it was from his first visit here in 2009 that our current series of concerts originated. 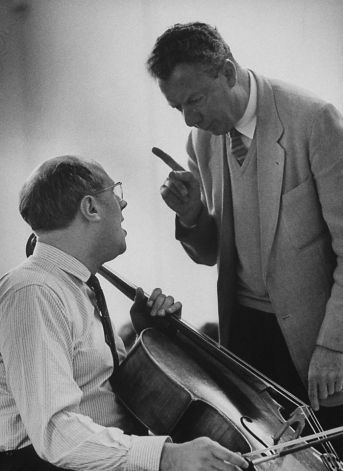 Benjamin Britten giving some instructions to the cellist Mstislav Rostropovich for whom his Cello Suites were composed. Rostropovich was also a frequent performer of the suites by Bach.